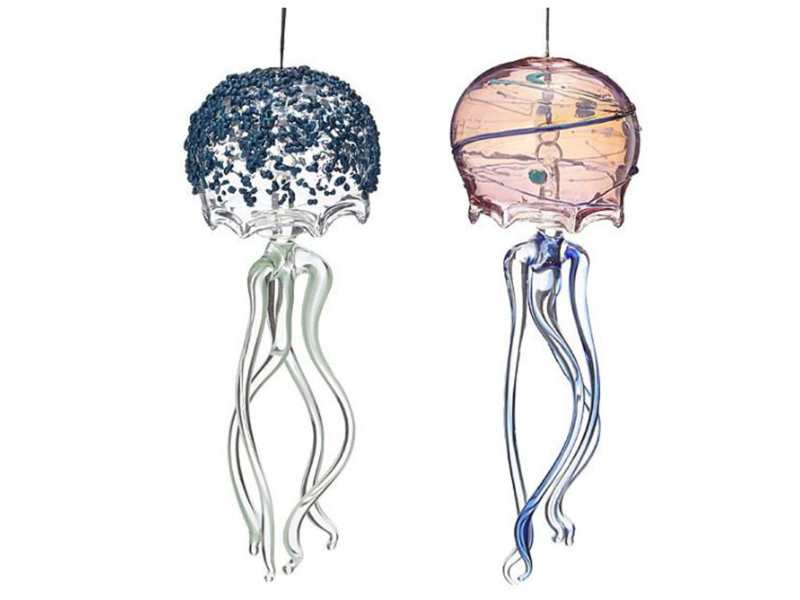 These enchanting glass jellyfish bell wind chimes are perfect for any whimsical beach house. They are very unique and sure to add some character to your home. 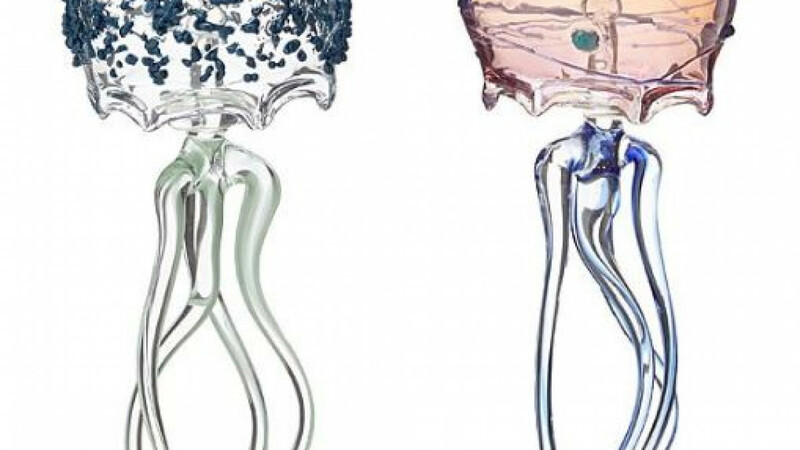 These jellyfish wind chimes are unique because each one is handcrafted in the USA. Multi-colored glass is used to create them because they are inspired by the ocean and it's colors. The artists, Andrea and James Stanford are inspired by the ocean because they live close to the Atlantic ocean. Material used to make the jellyfish bells include borosilicate glass, monofilament, jump rings and a base metal lanyard hook. The bells measure 2.75 inches long, 2.75 inches wide and 6.5 inches high. A fabulous idea for hanging outside on a deck because when the wind blows they make a gentle clanging sound. Someone who is moving into a beach side home will love these because they will fit right in. Lovely in your home, garden or outdoor entertaining area. Because they are made of glass it is advisable not to hang against a wall or under a tree. This is because they may break if the wind blows them into a wall or a branch falls. Hang them somewhere free of obstruction as you would with almost any other wind chime.